Chrysalide Broderies is a professional embroidery based near Cherbourg, since 1996. The workshop at Chrysalide Broderies has five industrial embroidery machines, a four-heads, a two-heads and two dual mono headers. 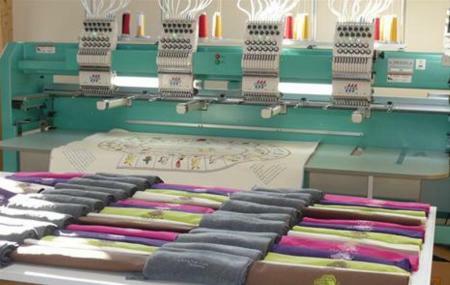 The embroidery machines at work here are fully automatic, well equipped to realize all the embroidery requirements such as fitted T-shirts, sweatshirts, caps. The site offers a wide range of customized products from unity to tailor embroidered patches on the apparel of your choice. An ideal place to get a customized T-shirt, Jersey, Cap or Sweatshirt, to gift someone on their birthday or special anniversary. Access to this attraction will be combined with your visit to PallazoDucale (Doge’s Palace). How popular is Chrysalide Broderies? People normally club together Le Pere Mahieu and Jardin Botanique Du Chateau De Vauville while planning their visit to Chrysalide Broderies.